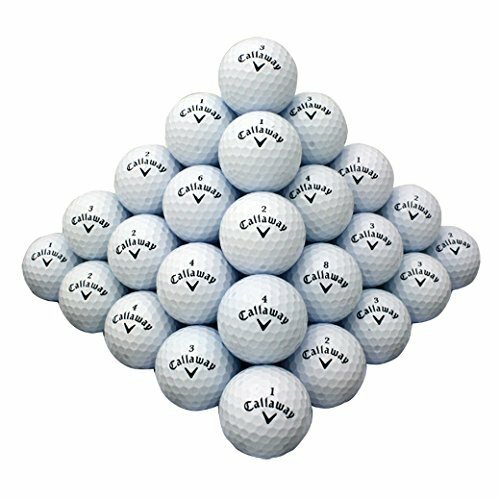 Buy Callaway 50 Mix Near Mint AAAA Used Golf Balls at Discounted Prices ✓ FREE DELIVERY possible on eligible purchases. Near mint recycled golf ball will have slightly noticeable imperfections, generally how a new ball would look after 1-3holes of golf and will include scuff marks. There may be slight discoloration and minor cosmetic blemishes, which doesnot compromise the flight characteristics of the golf ball. These balls will include small player(sharpie or felt pen) markings, team and corporate logo's. These balls will not include X-OUT or Practice.